In early August, the San Luis Obispo Chamber of Commerce will be taking a diverse delegation of community leaders from the business, education, government, and nonprofit sectors to Denver and Boulder, Colo. On this inter-city visit, participants will be introduced to innovative programs and projects implemented in Colorado, and will also have the opportunity for candid conversations with community leaders in order to facilitate an exchange of best practices, lessons learned, and true peer-to-peer learning. The goal of this vision trip is that it will serve as a catalyst for collective community visioning while also providing space for networking and relationship building through shared experiences. This will ultimately support our local leadership as we move forward on building a common foundation of understanding, and accelerate greater opportunity in our community. If you are reading this, I don’t have to tell you what a great place San Luis Obispo is. The region is special in a variety of ways, many of which will never make a Top 10 list, but I want to remind us all that community isn’t made by accident. Nice views and comfortable weather alone don’t provide the rich experience or quality of life we innately aspire to have. A community that provides such opportunities requires gritty, intentional work and thankfully there have been many before us with the vision and resolve to get us where we are today. Now it is our time to step in to make a constructive contribution toward our desired future. We go to Denver and Boulder in the spirit of “asking what’s possible,” humbly recognizing the riches available to us in the experience of others. Our community’s future holds both challenges and opportunities and it’s my hope and expectation that we will return with valuable insights to navigate what lies ahead for our region. Listening and learning from others will undoubtedly give us the opportunity to glean helpful ideas we can apply in our own backyard, allowing us to shape a better future for the place we love. When: 11 – 11:15 a.m. When: 11:15 a.m. – 12:30 p.m. Recognized as the “Godfather of Regionalism,” Tom Clark has been the driver and dreamer behind the economic success of the greater Denver area. We will hear firsthand how he moved the region from competition to cooperation and practical guidance on how to establish trust, grow opportunity and navigate the pitfalls along the way. When: 1 – 1:45 p.m.
Denver has fostered – and financed – the arts which have in turn been a driver of innovation and played a strong role in attracting the creative class. We will hear about Denver’s audacious investment in arts, culture and sciences, the Imagine 2020 Plan and the impact it’s made on the economic vitality of the region. When: 2 – 3:30 p.m.
A new approach to talent development is evolving the way skills are built and training is delivered. We’ll hear how business, education and philanthropic initiatives are working together to disrupt the relationship between employers and workers to make sure that the businesses have a skilled workforce and individuals are prepared for the jobs they want. When: 8:25 – 8:45 a.m.
We will get a warm Colorado welcome from the City of Boulder, a broad overview about the goals and priorities of the city and a little bit about the unique attributes that make Boulder, Boulder. When: 8:45 – 9:30 a.m.
We’ll hear a breakdown of the Boulder economy, including how it has evolved over the last decade, their success in fostering industry clusters and the local startup scene, and the biggest challenges they face as a region. When: 9:45 – 10:40 a.m.
With home prices skyrocketing – up more than 30 percent in the last two years – and tensions over growth at an all-time high, Boulder is forging ahead with a goal of creating 3,500 middle-income housing units by 2030. We’ll hear from county and city staff on the housing challenges in their community and how they are tackling them as a region. When: 10:45 – 11:40 a.m.
Colorado’s Amendment 64 passed in 2012 which led to the legalization of cannabis. This new industry has topped more than $100 million in sales monthly for 12 consecutive months throughout the state of Colorado. The City of Boulder was one of the first cities in the state to embark on taxing and regulating this new commodity. We will be discussing the complexity’s of this policy discussion has unfolded and what was implemented in the city. When: 12 – 2 p.m.
CU Boulder leads the way in launching innovations out of campus and into the community through industry collaborations, federal research labs, accelerators and more. We’ll hear their latest efforts to ensure that entrepreneurs flourish on and off campus. When: 2:30 – 4 p.m.
Boulder consistently ranks as one of the best cities in the nation for startup activity. We will have the opportunity to sit down with several leading entrepreneurs, venture capitalists and influencers who will share from their unique vantage point about the secret sauce to the entrepreneurial ecosystem in Boulder. When: 4 – 5 p.m.
We will have a roundtable discussion with Googles site director and will have the opportunity to hear firsthand the role that a major flagship company plays in creating a vibrant ecosystem. When: 5 – 6:30 p.m.
Who: At the close of the day’s program attendees will have the opportunity to have a drink and connect with some of the local leaders in Boulder during an informal community mixer. SLO attendees are encouraged to invite folks in the community they’d like to connect with during the trip. When: 7 – 8:30 a.m.
We will have the opportunity to experience Boulder’s beautiful open space on the Chautauqua Trail which is one of Boulder’s signature hikes. The hike will be led by a naturalist from the City of Boulder who will give more insight into Boulder’s open space including how much open space they manage, how it’s funded, regulated and utilized, and it’s role in enhancing the region’s quality of life. When: 9:30 – 11 a.m.
On our guided walking tour, we will have an opportunity to hear the stories of the history, planning, people and environment that have created a vibrant downtown that is home to more than 1,000 businesses of which 85 percent are locally owned and operated. The gem of the downtown is Boulder’s Pearl Street Mall – a four-block pedestrian area and the town’s main thoroughfare – which is at the heart of this energized city and an urban planning success story since the late 1970s. Attendees will be let loose following the tour in the Boulder Farmers Market with four hours of free time to explore, network and most of all, enjoy being unscheduled. 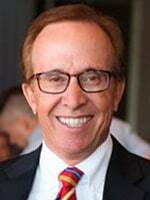 Jeff Wasden is the president of the Colorado Business Roundtable, a statewide organization, operating as an affiliate of the national Business Roundtable. Wasden was just confirmed as a National Trustee for the Board of Directors for National Small Business Leadership Association. Wasden was an owner of PROformance Apparel in Littleton, Colorado. PROformance provides custom uniforms, professional signs, and banners, and unique specialty items for high schools, police and fire departments, and youth sports. He previously spent 15 years in the education arena before purchasing PROformance with his wife and sister-in-law. While in education, Jeff was named Distinguished Educator for LPS and Teacher of the Year. Jeff has been named Volunteer of the Year and also awarded the prestigious Community Leader of the Year award as well by the South Metro Denver Chamber of Commerce. The Leukemia Lymphoma Society recognized Jeff with a Community Leader award as part of the Man of the Year campaign. 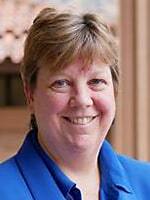 Suzanne Jones has over 24 years of public policy experience at the local, state and federal level. 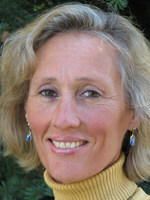 Jones was elected to the Boulder City Council in November 2011, and currently serves as Boulder’s mayor. 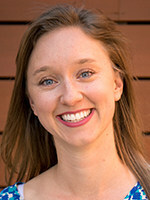 She is Boulder’s representative on the Denver Regional Council of Governments, Colorado Municipal League’s Policy Committee, and Urban Drainage and Flood Control District, among other assignments. Jones’ day job is serving as executive director of Eco-Cycle, a 40-year old community nonprofit dedicated to promoting and implementing recycling, composting and other zero waste efforts across Boulder County, and promoting Zero Waste solutions as a means to address climate change. Prior to that, for 16 years she worked for The Wilderness Society, where she served as the Central Rockies Regional Director running the Society’s Denver office and leading coalition efforts to collaboratively protect our nation’s public lands and improve their management. 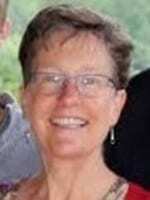 Mary Ann Weideman is the deputy city manager for the City of Boulder. She serves on the city manager’s executive leadership team and is focused on strengthening cross-department relationships and coordinating city-wide projects. She works to foster an environment that allows city employees to live the values and be at their best in service to the Boulder community. From 2010-2011, while serving as deputy director of operations, she coordinated the project team for Energy Future during the initial evaluation phase of municipalization. While she was administrative services manager she led the project team for the development of SmartRegs, which requires all residential rental properties to meet basic energy efficiency standards by 2019. Deborah Jordy is the executive director of Scientific and Cultural Facilities District, that distributes funds to support cultural facilities throughout the seven-county Denver metropolitan area. 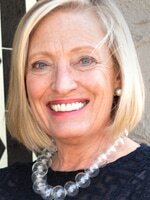 Prior to SCFD, she served as the executive director of Colorado Business Committee for the Arts. Jordy has played a prominent role in Colorado’s thriving art scene for the last 30 years, serving on the Denver Mayor’s Commission on Cultural Affairs, the board of directors of the Governor’s Residence Preservation Fund, Arts for Colorado, the Colorado Nonprofit Association and the Stapleton Public Arts Advisory Committee. For 13 years she served as assistant and associate curator at the Denver Art Museum, then served as executive director of the Arvada Center for the Arts and Humanities and led the Cherokee Ranch and Castle Foundation. She currently serves on the national board of directors of Americans for the Arts. In 2014, Deborah received the DAM KEY Award from the Denver Art Museum. Ginger White-Brunetti has worked in the public and nonprofit sectors for more than 15 years, currently serving as deputy director of Denver Arts & Venues. Through her work she has positioned the cultural sector as a significant contributor to Denver’s economic vitality, livability, placemaking and brand. White-Brunetti’s role involves managing a $31 million budget that includes management of the Denver Performing Arts Complex, Red Rocks Amphitheatre, Denver Coliseum, Colorado Convention Center and Denver’s Public Art Program. She oversees the Denver Commission on Cultural Affairs, a 21-member Mayoral-appointed body that advises Denver Arts & Venues and approves public art. Prior to her work as deputy director, White-Brunetti was the director of creative sector initiatives for the agency, where she developed and managed the advocacy, incubation, retention, and expansion of creative enterprises. During nearly 10 years with Denver Arts & Venues, she has been integral in launching Create Denver, Denver’s first creative sector initiative and developing IMAGINE 2020, Denver’s first cultural plan since 1989. 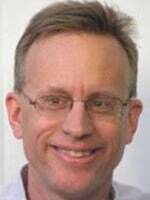 Clif Harald was named the executive director of the Boulder Economic Council in 2011, bringing more than a dozen years of economic development leadership experience in Boulder County and the metro Denver region to the position. Harald is known for creating innovative, award-winning programs such as Sun Microsystem’s multi-million-dollar corporate responsibility and partnerships initiatives. He has held management positions in private industry, including financial services and IT, and founded his own management consulting practice. 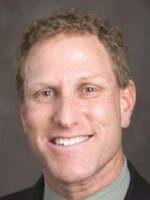 John Tayer has been the president/CEO of the Boulder Chamber since 2012. Tayer served more than a decade at Corden Pharma Colorado (formerly Roche Colorado Corporation) in various executive public affairs and community relations positions and is a former member of the Chamber’s Board of Directors, as well as a former Board Chair. 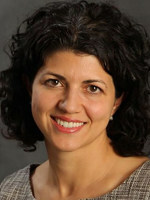 Prior to Corden, Tayer worked directly for the city manager of Boulder as the director of policy development and intergovernmental affair coordinator. He began his career in Washington as a congressional aide to U.S. Senator Brock Adams. 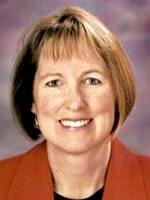 Linda Cooke was appointed to be the Presiding Judge for the Boulder Municipal Court in 2002. Cooke moved to Boulder in 1982 to attend law school at the University of Colorado, where she earned her Juris Doctor degree. Cooke previously worked for the Colorado State Public Defender for nine years, including a five-year term in the Boulder office. 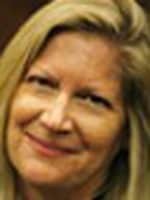 She subsequently administered many of Boulder County’s juvenile justice programs, developing and honing the administrative skills she brought with her to the Court. Cooke has been active in the community since graduating from law school. She served on the City of Boulder’s Children’s Services Advisory Board, the Boulder Bar Association’s Board of Directors, and other law- and youth-related committees. She has been a Big Sister, a tutor for the Colorado Alliance for Science, and is active at her children’s schools. Following passage of Amendment 64 to Colorado voters in 2012, Judge Cooke’s work has expanded to include strategies for addressing the anticipated impacts of recreational marijuana. Richard Foy co-designed the famed Pearl Street Mall in downtown Boulder and is a former board chair of the Downtown Boulder Partnership. A former art director for Charles and Ray Eames and founding partner of CommArts design firm, Foy has designed many brand identities and places worldwide, including Madison Square Garden in New York City, O2 Dome in London, LA Live in Los Angeles, as well as the branding for Spyder Sportswear, and Star Trek — The Motion Picture. Foy was the founding partner of Comm Arts in Boulder, CO. in 1973. Comm Arts, a multidisciplinary design firm, was responsible for thousands of projects in 27 countries, including 250 million sq. ft. of town centers, villages, retail centers, sports centers, streetscapes and urban renewals. Richard co-founded the Downtown Boulder Association and has served on their board since 1980. He started the Boulder Farmer’s Market in 1973. In 1980, his firm won the National Honor Award from the Department of Housing and Urban Development (HUD) for the design of the Downtown Boulder Mall. 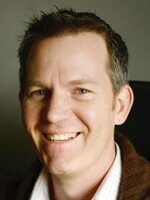 Scott Green leads Google’s Boulder, Colo., engineering office. Google acquired @Last Software (SketchUp) in March of 2006. At that time, Green was the vice president of engineering at SketchUp. 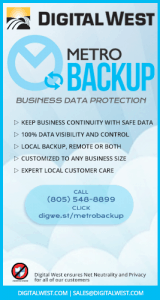 Prior to joining Google, Scott was the director of technical operations at ReturnPath. Earlier, he was the director of engineering at MessageMedia, which was purchased by DoubleClick. Lesli Ellis, AICP CEP, is a certified planner with more than 20 years of professional community, and environmental planning and management experience. Ellis focuses on comprehensive linkages between land use, open space and environment, design, transportation, climate action, resilience and sustainability. She works in a collaborative, strategic, creative and integrative manner, and she focuses on building and supporting teams. Kurt Firnhaber joined the City of Boulder in April 2016 as the deputy director of housing with a diverse background in housing development, service and strategic leadership. Prior to his time with the City of Boulder, he enjoyed 10 years as the chief operations officer for Right to Care, a large health services non-governmental organization in South Africa, where he led a number of innovation initiatives while navigating a complex political and organizational landscape. He has also held leadership roles with Habitat for Humanity both in South Africa and in Boulder, and served as a project manager and construction manager with Boulder’s Affordable Housing Alliance, Boulder Housing Authority, and Wonderland Hill Development Company. He understands the challenges of getting projects built, as well as what it takes to create and sustain organizational alignment around goals and outcomes. He has a strong commitment to collaboration and partnership. March 23 has been declared by Governor Hickenlooper as Tom Clark Day. Often referred to as the “Godfather of Regionalism,” Tom Clark is recognized as a founding father of the nation’s first regional economic development concept, which has been key to accelerating business attraction, retention, and growth in Colorado. Many believe Clark was the secret ingredient in Denver’s recipe for economic success over the past 30 years. 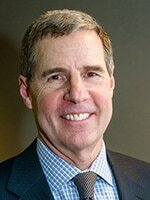 Clark retired on March 31 from his role as CEO of the Metro Denver Economic Development Corp. and was recently appointed by the Governor and currently serves on the Colorado Economic Development Commission. Clark has more than 30 years of economic development experience at the state, regional, and local levels, spanning from Illinois to Colorado and has his fingerprints on just about every major deal in the region including the construction of Denver International Airport, Coors and Sports Authority fields, as well as many corporate relocations. In his 25-year career, Greg Berry has been part of a number of entrepreneurial teams, including leading AOL’s Digital City Denver creative unit during a transition and integration into the pre-Time Warner AOL. For more than a dozen years Berry has worked internationally in positive social impact most recently serving two years on the Board of Directors of the Impact Hub Network, which connects over 95 Impact Hubs on five continents. Currently he serves as entrepreneur in residence at Impact Hub Boulder, which is a member-powered co-working space and event venue for entrepreneurs fostering positive global impact. For the past ten years, Berry has focused his career on sustainability and positive social impact. 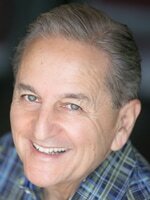 He has created award-winning media properties, and produced elite conference on three continents. He believes strongly in the blended power of business productivity and social responsibility, and is working to create organizations with lasting impact in the reals of people, environment and money. David Cohen has only had one job interview in his career. It was a success. But then he quit shortly thereafter to start his first company. A lifelong entrepreneur and investor, Cohen is the founder and co-CEO of Techstars, a Boulder-based accelerator with programs around the globe. Since then, he has founded several companies and has invested in hundreds of startups such as Uber, Twilio, SendGrid, FullContact, and Sphero. In total, these investments have gone on to create more than $80B in value. MergeLane Program Director Hannah Davis is an extraordinary community builder and startup supporter. MergeLane is an accelerator program aimed at increasing the number of women-led startups and activating female leaders. The MergeLane accelerator program is structured to meet the needs and interests of companies with diverse management teams. Before joining MergeLane, Davis was an integral force at Impact Hub Boulder, a co-working space for community and socially-focused business. As one of the first employees, she helped grow the Impact Hub community from zero to more than four hundred members. Prior to moving to Boulder, she spent nine months living in Israel and India where she worked with various social entrepreneurs to accelerate their efforts. She also spent a winter working as an intern at Grand Targhee Ski Resort, helping to measure their greenhouse gas emissions and reduce their environmental impact. 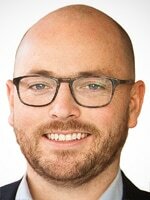 Ian Hathaway is an experienced economist, strategic advisor and writer, with expertise in entrepreneurship, technology and innovation, and at generating data-driven insights and communicating complex material to general audiences. Hathaway has also launched new ventures, helped young organizations get off the ground, and worked with established businesses to expand into new areas. Ian is currently a consultant at Frontier Economics, where he leads and develops work on technology, innovation, economic growth, and public policy. 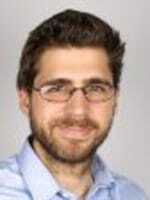 He is also a nonresident senior fellow at the Brookings Institution, where he researches the links between innovation, cities, and economic growth, a research fellow at Boston University where he studies the influence of technology and startups on society, and an adjunct professor at New York University, where lectures on startups and urban economic development. Previously, Ian was an economist at the Federal Reserve Bank, World Trade Organization, and Bloomberg, and founded Ennsyte Economics, a consultancy. Sue Kunz brings decades worth of experience serving as CEO, founder and corporate executive for companies around the globe including Sun Microsystems and IBM Germany. More recently, however Kunz has been serving as CEO of ThriveOn Group and Avenir International. The serial entrepreneur also serves as a managing director of the Billion People Project, working to protect the planet from environmental ruin. 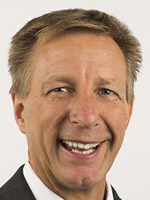 Prior to that Kunz served as CEO at BioVantage Resources (a cleantech company), following a four-year stint at Solidware Technologies (a software company). She held several executive and management positions in marketing, business development, and Six Sigma at Sun Microsystems. Before Sun, Sue sold digital imaging solutions in Germany and held various marketing positions at IBM. Her international stretch started as she helped set up the European offices for Precision Visuals. Sue serves on various Boards and Advisory Boards in both for profit and non-profit organizations and is a member of the Blackstone Entrepreneurs’ Network and the Boulder County Aging Advisory Council. 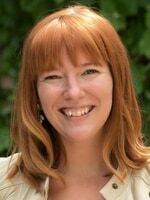 Kelly Caufield joined Colorado Succeeds as the director of policy and advocacy in January 2017, following a decade of working in policy on the national level. Caufield served as a senior government relations advisor and federal lobbyist for the world’s largest human resources professional association, the Society for Human Resource Management (SHRM) in Washington, DC. Caufield also spent eight years on Capitol Hill. Putting in six years as a professional staff member for U.S. Senator Mike Enzi (WY) on the U.S. Senate Health, Education, Labor, and Pensions Committee and two years as the education advisor and legislative director for Congressman Lou Barletta, a member of the U.S. House Education and Workforce Committee. She had a key role in drafting a reauthorization of the Workforce Investment Act to strengthen employer engagement at the local level. She also spearheaded efforts to draft legislation to address immigration, healthcare and education priorities. 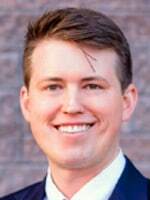 Thomas Hartman is the talent development coordinator for the Colorado Workforce Development Council. Hartman is central to moving forward sector partnerships and career pathways as key strategies for the implementation of state and federal legislation. He plays a key role in developing a statewide career pathways framework and specifically identified career pathways with input provided by staff liaisons and partners. As a 20-year transplant Coloradan, Hartman cares deeply about advancing opportunities for Colorado residents. Prior to his current position, he worked in the Colorado Community College System, where he developed transfer and articulation agreements. 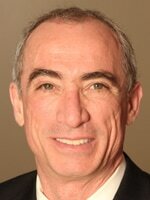 He brings more than 20 years’ experience in higher education leadership, administration and teaching. Trevor Pruitt is an associate at Skillful, an initiative of the Markle Foundation. Skillful is a central part of Markle’s work to transition to a skills-based labor market that puts Americans on better career paths by focusing on the skills needed for today’s jobs. Pruitt’s initial work with Skillful was supporting job seekers navigating career changes in the digital economy. He now works with employers on changing to competency-based hiring and training practices. Brad Revare is the director of Business Partnerships for CareerWise Colorado, a Boulder-based group that develops apprenticeship programs to help high school students gain skills and knowledge, and businesses gain access to highly trained talent. Previously, Revare was the executive director for Startup Colorado (a regional tech entrepreneurship initiative), the Governmental Entrepreneurial Leadership Accelerator (a first-of-its-kind partnership between the city and county of Denver and the Silicon Flatirons Research Center to accelerate entrepreneurship in local government), and he coordinated the Colorado Office of Economic Development’s Blueprint 2.0 program to promote rural Colorado economic development. Prior to that, he worked for the Chairman of the Federal Communications Commission, Point B Capital, and several political campaigns. 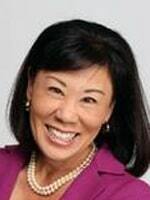 Becky Takeda-Tinker is the president of Colorado State University – Global Campus. She has been with CSU Global Campus since 2008. She previously served as the dean of academic affairs and as a faculty member in Organizational Leadership and Business Management. She has also served as a course developer with the University of the Rockies, and an adjunct instructor with Northcentral University and the Community College of Denver. She has led publicly-held and private technology and service companies, and has served as a Private Equity Partner and financial services business owner. She serves as a Director of the global Leadership Foundation for the International Women’s Forum. Robin Russel is the graduation guidelines manager at the Colorado Department of Education. She has had the privilege of working with students, families and communities in almost every realm of the education arena – from French teacher, to fund-raiser, to scholarship administrator and community liaison, to career and college advisor. In her current role, Russel works with district administrators and schools to interpret legislation for graduation guidelines and the Individual Career and Academic Plan (ICAP) Process, and to collect and share implementation strategies, resources and promising practices. 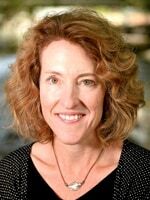 Dr. Terri Fiez joined CU Boulder in September 2015 as vice chancellor for research and is responsible for leading the campus research enterprise. 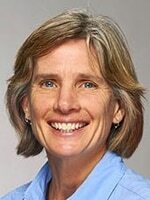 Before joining CU Boulder, Dr. Fiez spent more than fifteen years at Oregon State University (OSU) where she was the head of the Department of Electrical and Computer Engineering where she lead the departments through a time which saw research expenditures and the PhD program triple in size. A former National Science Foundation Young Investigator awardee with more than 150 publications, Dr. Fiez’s scholarly interests focus on analog and mixed-signal integrated circuits and approaches to innovative education. 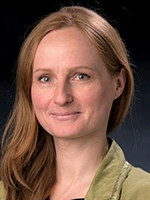 She is a Fellow of the Institute of Electrical and Electronics Engineers (IEEE), has been a distinguished lecturer for the IEEE Circuits and Systems Society and the Solid-State Circuits Society. She received the 2006 IEEE Educational Activities Board’s Innovative Education Award and the 2016 IEEE Undergraduate Teaching Award for the creation of the nation’s first online post baccalaureate computer science program. Cali Harris recently joined the University of Colorado’s Leeds School of Business as its managing director of entrepreneurship, innovation & design. Harris’ experience blends a strategic partnership model with the strength of an interdisciplinary cache of resources. This approach has enabled her to assist businesses, large and small, in seizing market opportunities often overlooked by others. She has also used this expertise to create enduring partnership practices between startup entrepreneurs and the interests of Fortune 500 companies. Previously, Harris oversaw partnership operations for Techstars, a global ecosystem that helps entrepreneurs build businesses, headquartered in Boulder. She and her team scaled Techstars’ programs and resources, a key factor in the success of both the Techstars organization, and the corporate partners and startups served by its programs. Dr. Robert McGrath is the director of the Renewable and Sustainable Energy Institute a joint institute between CU-Boulder and the National Renewable Energy Laboratory (NREL). Prior to joining the University of Colorado as research professor and director of RASEI, Dr. McGrath served as senior vice president at the Georgia Institute of Technology and director of the Georgia Tech Research Institute (GTRI). GTRI is an applied research powerhouse providing an array of technology solutions for the U.S. Department of Defense, U.S. Department of Homeland Security, other federal agencies and industry. Under Dr. McGrath’s leadership, GTRI grew to have more than 2,000 employees and R&D awards in excess of $350 million. Dr. McGrath was recruited in 2012 to serve on the Defense Science Board’s Study Group on Technology and Innovation Enablers for Superiority in 2030. Prior to joining GTRI, Dr. McGrath worked in a variety of capacities with Battelle Memorial Institute supporting energy R&D programs, national laboratory / university partnerships, and STEM education initiatives. Exploring the importance of networks for more than 20 years, Tim O’Shea combines his professional technical acumen with a social savvy in service to connecting communities. His experience delivering apt technical solutions and forward-looking guidance for a variety of established brands, businesses, startups and nonprofit organizations took root at the dawn of the dot-com era. Working in the national sphere of public broadcasting enhanced his strengths as an advocate, communicator and educator. 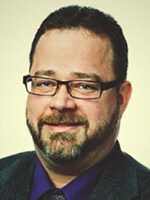 Cultivating relationships throughout his network, O’Shea dedicates his professional and personal resources to developing successful individuals and organizations through connections and knowledge transfer. 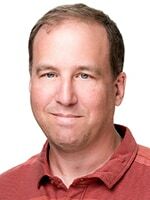 He has produced and organized events including NewCo Boulder, Boulder Startup Week, and The Vinetta Project. He currently runs the Catalyze CU accelerator and is city director for House of Genius in Boulder. 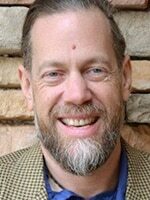 Tim serves as a board member for the Downtown Boulder Foundation, Boulder Library Foundation, and Boulder Tomorrow. He sits on the Boulder Chamber’s Community Affairs Committee. 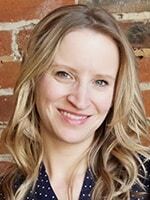 Marta Zgagacz is the licensing manager at the University of Colorado Boulder Technology Transfer Office where she evaluates invention disclosures from CU researchers for patentability and commercial potential. Zgagacz co-founded and developed FuturaGene, a university spin-off that went public on AIM in London and was ultimately sold to Suzano. She also worked for D-Helix as their COO, another biotech startup based on technologies licensed from several universities around the world. Before she became involved in university spin-offs, she worked at the Collider Detector at Fermilab experiment that was searching for the recently discovered Higgs Boson. #2 Boulder, CO | 2015 Top 10 Most Innovative Tech Hubs in The U.S.
#10 Denver, CO| 2015 Top 10 Most Pro-business cities in The U.S.